Like so many other automakers Jaguar has a long and colorful history that involves many players. Originally the company started out as the Swallow Sidecar Company in 1922 by two motorcycle enthusiasts named William Lyons and William Walmsley. It sure would be nice to have some of those Jaguar car brochures or sales literature, but don’t give up we are still searching. Then in 1934 William Walmsley wanted to sell his portion of the company so Lyons sold shares of the company to buy off Walmsley. The new company was named S.S. Cars Limited. The new company introduced their first vehicles in 1935 and called them the Jaguar Saloon, SS 90 and the SS100 Jaguars (sorry none of these Jaguar car brochures). This eventually led to the company changing the name in 1945 to Jaguar Cars Limited. However this was only the beginning and through a series of mergers, buyouts, government interventions and acquisitions Jaguar was part of the bigger British Leyland Motor Corporation. Jaguar became a separate company in 1984 on the stock market because of government privatization. Jaguar wasn’t doing great because of poor quality control, low productivity and a tired line up of Jaguar cars. Even the Jaguar car brochures were unchanged and lacking the pizzazz that the car buying public wanted for a high-line automaker. Then in 1999 Jaguar was purchased by Ford and made a part of their Premier Auto Group, which also consisted of Aston Martin, Volvo and Land Rover the following year. 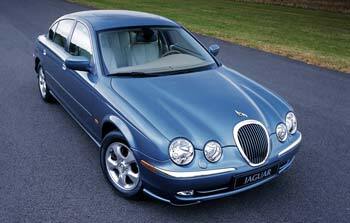 Under Fords leadership Jaguar introduced the Jaguar S-Type and the X-Type models. 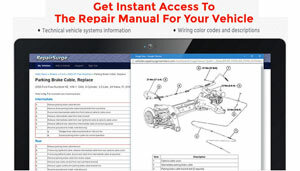 This is when Jaguar car brochures became more accessible. Even under the leadership of Ford they still suffered from poor profits and sales. This eventually led to Ford Motor Company looking for a buyer. Ford continued to look for a new parent for Jaguar and they included the Land Rover line to sweeten the deal. Formally Ford announced their plans to sell the Jaguar/Land Rover Company in 2007. After a chain of events there was ultimately a suitor named and that was Tata Motors of India. Ford formally announced in early 2008 that Tata Motors was the best choice to purchase the company and engaged in talks with regulators and unions to complete the transaction. 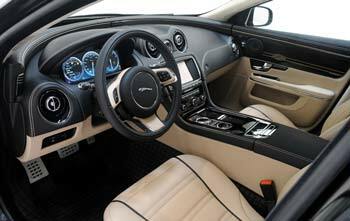 Eventually the takeover was completed in the middle of 2008 and Jaguar had a new parent company. This is where we stand today with Tata Motors owning another piece of automobile history, however Jaguar car brochures and sales literature are more readily available.